Here’s How Our 30 Years of Environmental Consulting Experience Saved One Client $310,000 on Their Residential Development. If you’re a builder, developer or government agency requiring the services of environmental consultants to facilitate the sale, purchase or development of land, then the information on this page could save you tens, and possibly even hundreds of thousands of dollars. Why? 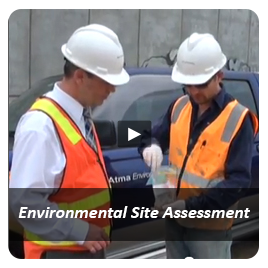 Because environmental approvals are potentially one of the most elastic expense variables in property development, and what most people don't realise is that one of the biggest determinants of the total costs of obtaining environmental approvals is the capability and experience of your environmental consultant. 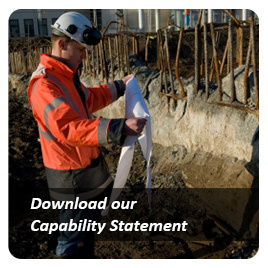 That's why we've compiled this web page using "live" videos shot during real consulting jobs we've done, backed up with case study costings, to demonstrate beyond doubt how we can help you achieve environmental compliance in a more cost effective manner. Invest a few minutes now and learn how we saved one client $310,000 off the total cost of their residential development, and how, by applying similar principles, we could save you tens and possibly even hundreds of thousands of dollars off your next project. Watch Video 1 now. Atma Environmental (613) 9429 6955. Does My Choice of Environmental Consultant really have that Big a Bearing on the Cost of Obtaining a Development Approval? As someone not expert in environmental science, you could easily be forgiven for thinking that all environmental consultants are the same. But the truth is they aren't. And thinking that they are could be as harmful to achieving your best outcome as it would be to assume that all lawyers are the same heading into a critical litigation. Everyone knows that the experience and quality of legal advisers differs, and that the experience of your lawyer can make or break the success of a case. But very few people realise that the same principle hold true in seeking environmental approvals. But just as there is no simple cookie cutter approach to winning a court case, there is no simple cookie cutter approach to obtaining an environmental approval. The issues involved are as unique and complex as the history of the property (case), and added to that, environmental compliance regulations are complex and intricate (just like the law). That means on any given piece of land there are a myriad of variables and approaches to be assessed and considered; and your environmental consultant's ability to choose the best, most cost-effective approach can make tens and even hundreds of thousands of dollars difference to your bottom line. So why is decision making so critical to the process and the outcome achieved? Because in most cases it’s the disbursements (i.e. the costs of the works that need to be done to achieve compliance) that make up the bulk of your environmental compliance costs; NOT the consulting fees charged by Atma Environmental or any other environmental consultant. So here's the clinch. When a consultants approach, decision making and project management skills are THE most vital inputs determining your best result, the experience of your environmental consultant becomes THE critical issue determining the overall cost effectiveness of achieving compliance. That's why Atma Environmental are the go-to environmental consultants for so many builders, government departments and property developers in Melbourne. We manage site testing and clean up issues second to none. Our Director Glenn Berry has over 30 years experience in contaminated land management and he oversees every job undertaken by our company. His commitment is that your job be managed like it was his own; which is why very few companies match us for effective planning and decision making. This extra care can make a HUGE difference to your bottom line cost, and if you watch Video 2 on this page now, you'll see how we go about ensuring you achieve environmental compliance in the timeliest and most cost-effective manner. You can then read on to see a case study of real figures showing how our superior consulting methodologies created a six figure cost saving on a residential development in Melbourne. Imagine you're a property developer considering purchasing land that you’d like to create residential housing on. 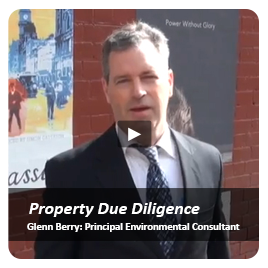 Understanding the importance of environmental due diligence, you engage Atma Environmental to check the land prior to purchase. 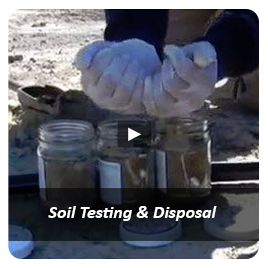 We do soil testing and find a hidden environmental liability in the form of high levels of arsenic in the soil. (See a real life consulting situation like this in Video 1 on this page). 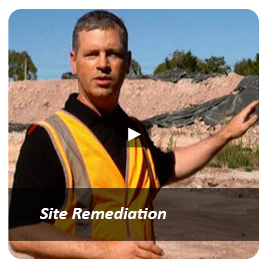 Soil contamination is a potentially expensive issue on development sites, because site clean-up costs will be required by the Auditor to grant building approvals and can add considerable expense to any proposed development; in fact, in some cases these costs can be the difference bewteen a profitable and a non-viable investment! Great! Next you’ll need to achieve the clean-up of the arsenic on site in the most cost effective manner possible, and this is the area where Atma Environmental excels. 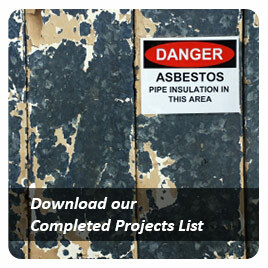 We consider all possible options when we plan our site clean-up projects so we can achieve compliance for you in the least expensive way possible. We are also renowned for our fast job turnaround and responsive customer service, which alone has saved many of our clients tens of thousands of dollars, because time is money on land deals, and even more so on building sites (e.g.down time, interest paid on loans, site security etc). So our faster than average job turnaround creates additional savings. Then consider the savings we create through better on site decision making and planning (e.g. reduced soil disposal costs - see Video 2 for real life examples of how we did this for one client), and you're beginning to understand how our environmental consulting can add value to your land deals by producing faster, less expensive environmental compliance outcomes, which means a more profitable development. In fact, savings on the example we have just discussed would easily run into six figures! Here's The Figures Showing How Our Environmental Consulting Caused The Six Figure Cost Saving Just Discussed. However, because our standard operating procedure is to collect at least 10 samples, we were able to test four additional samples and re-evaluate the categorisation based on a mean (average) value as ‘Category C’. The cost to dispose is now 150 m3 x $220/m3 = $33,000! This case study may seem extraordinary to readers who don't understand the potential elasticity of development approval costs caused by the many variables involved in assessment and remediation of contaminated land, but be assured, we regularly save developers tens and even hundreds of thousands in site clean up costs every year.